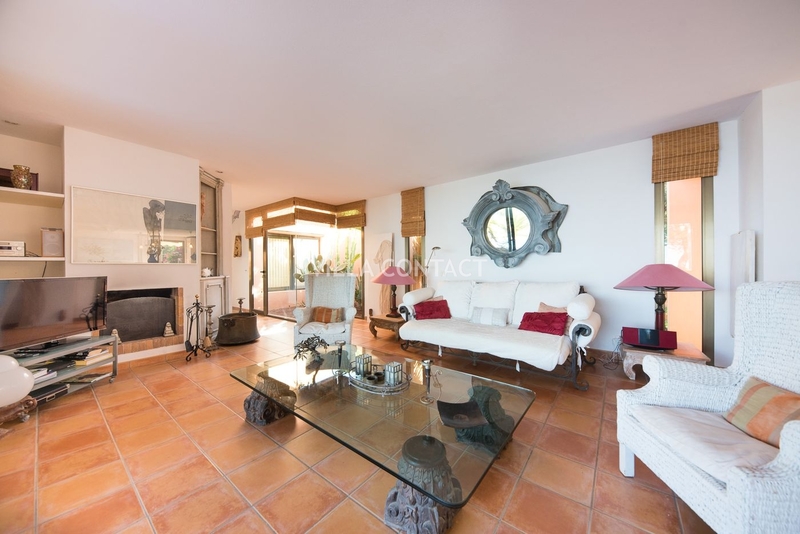 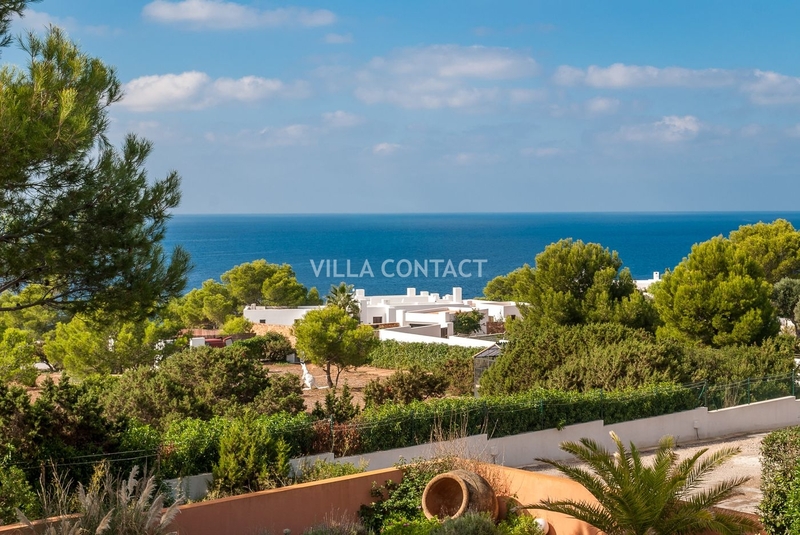 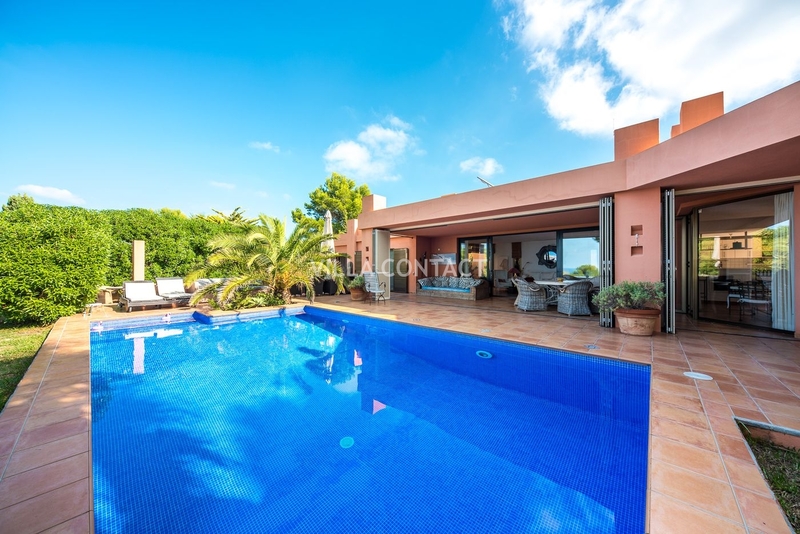 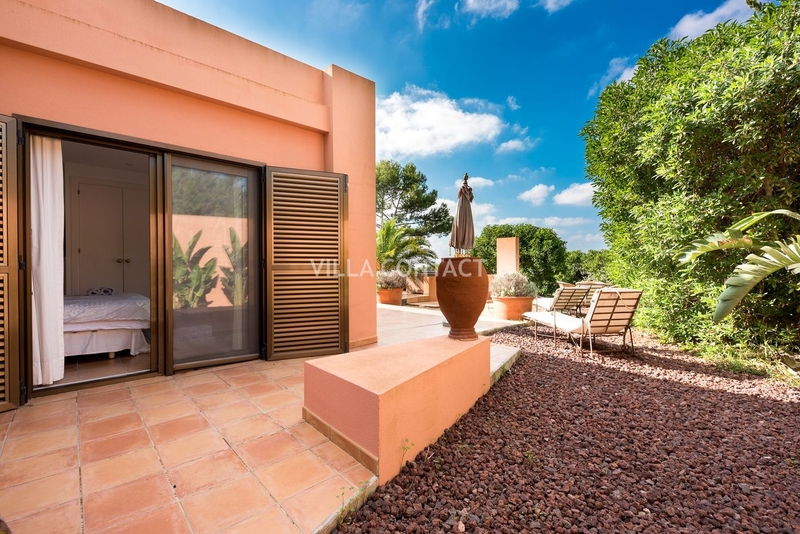 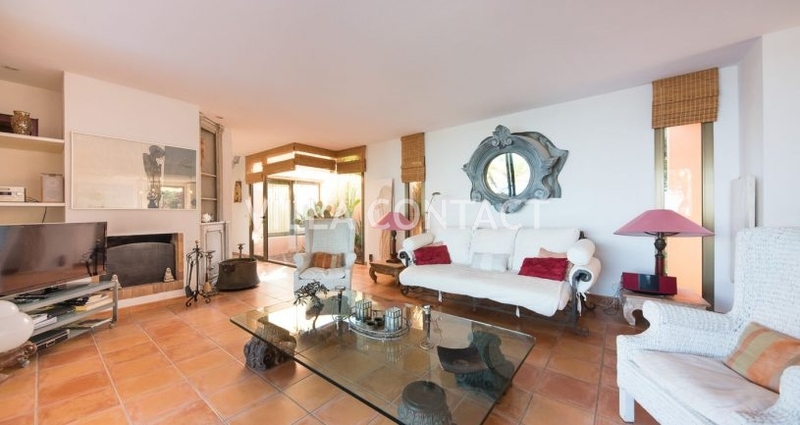 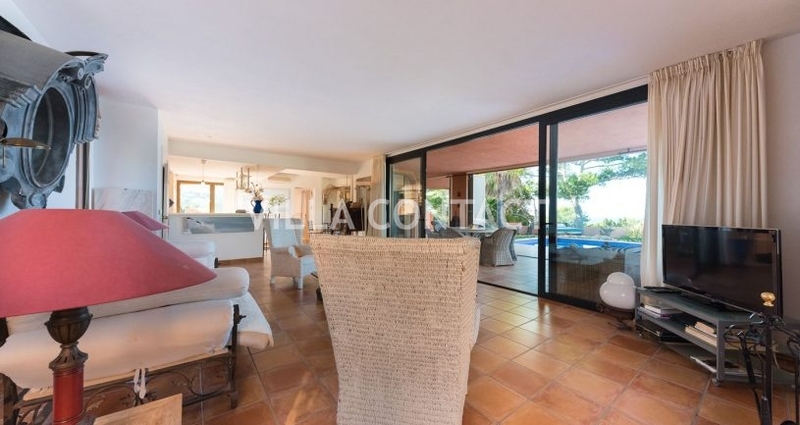 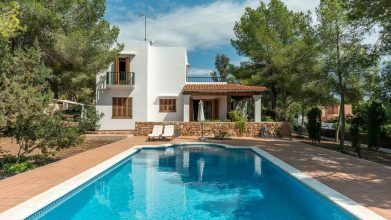 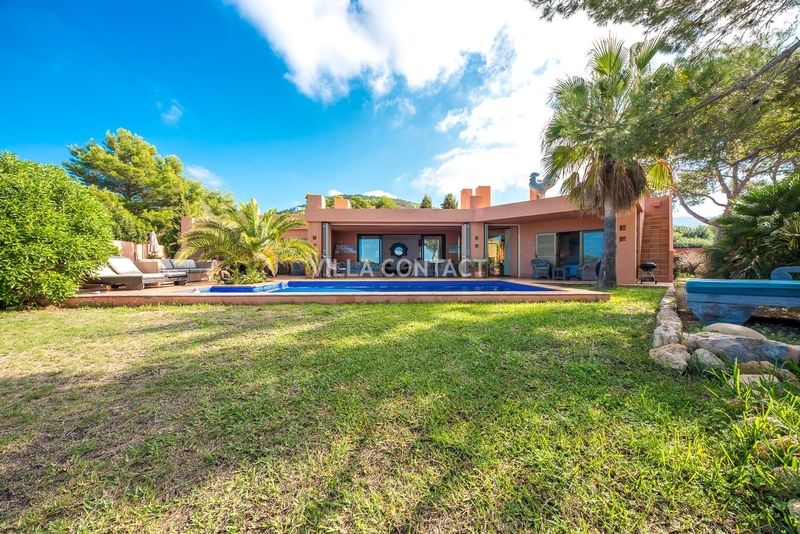 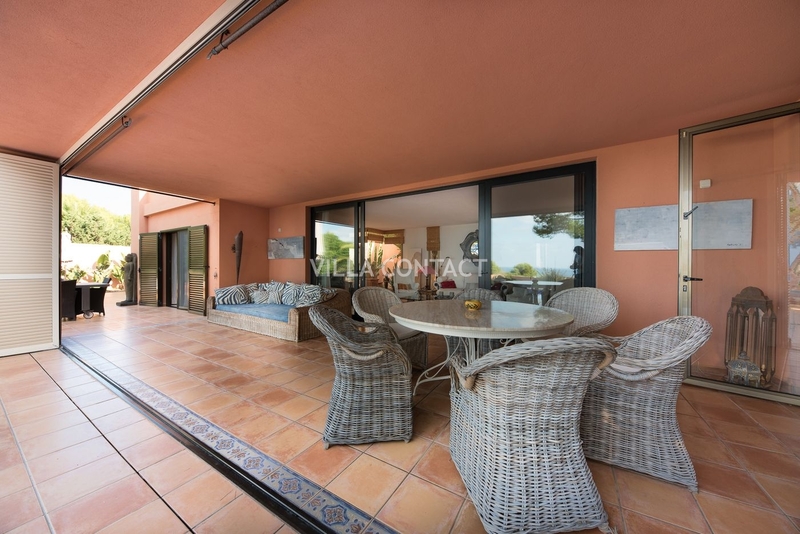 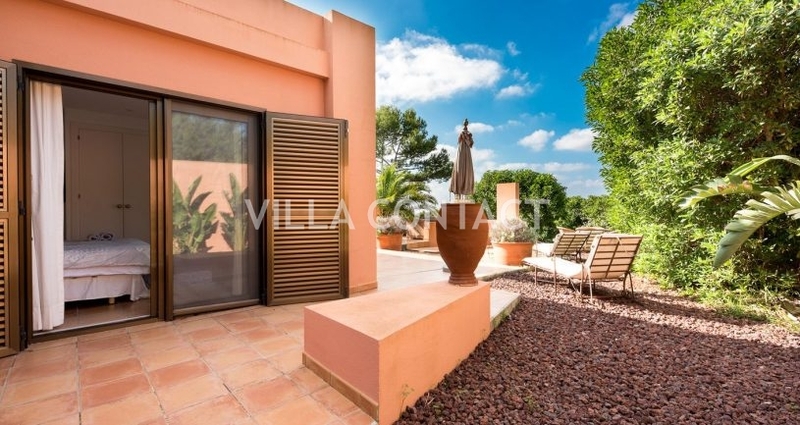 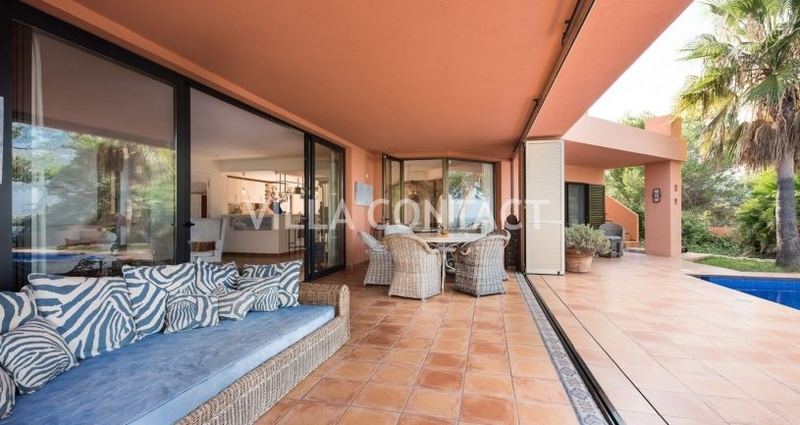 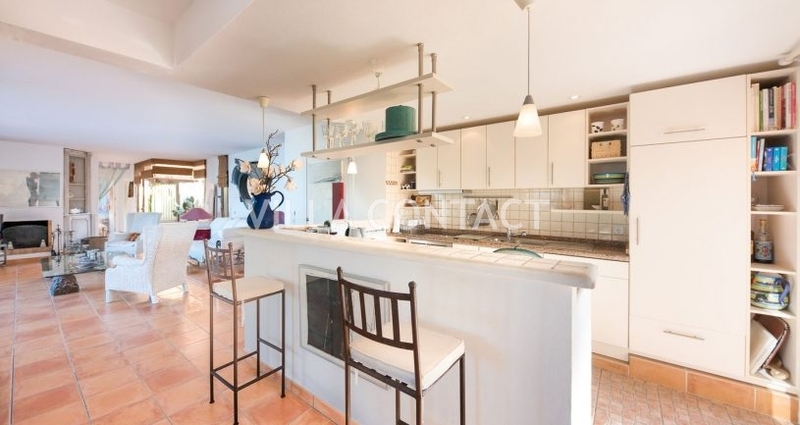 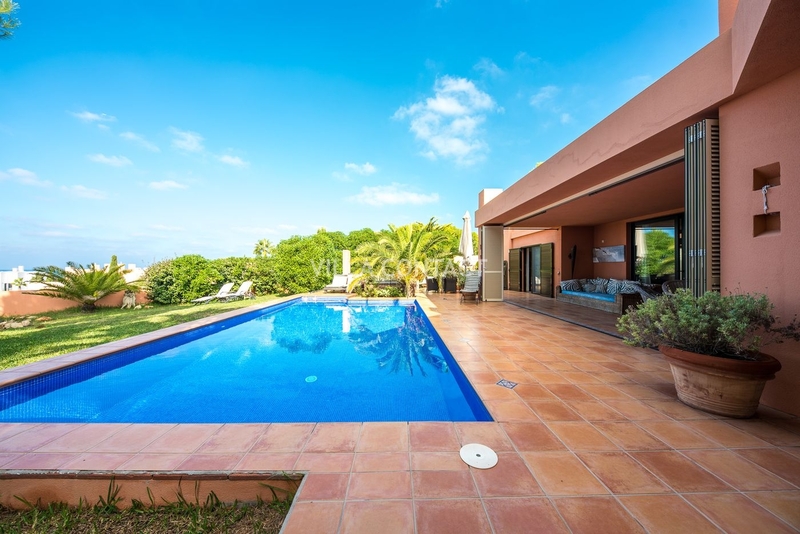 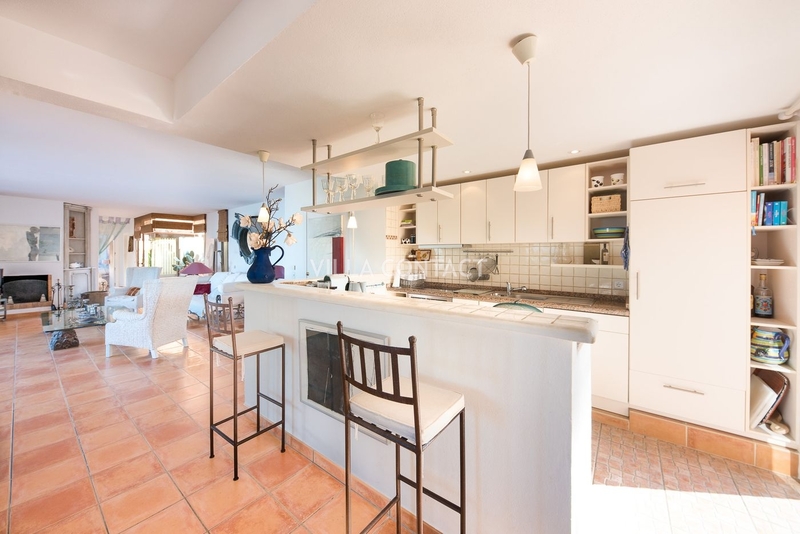 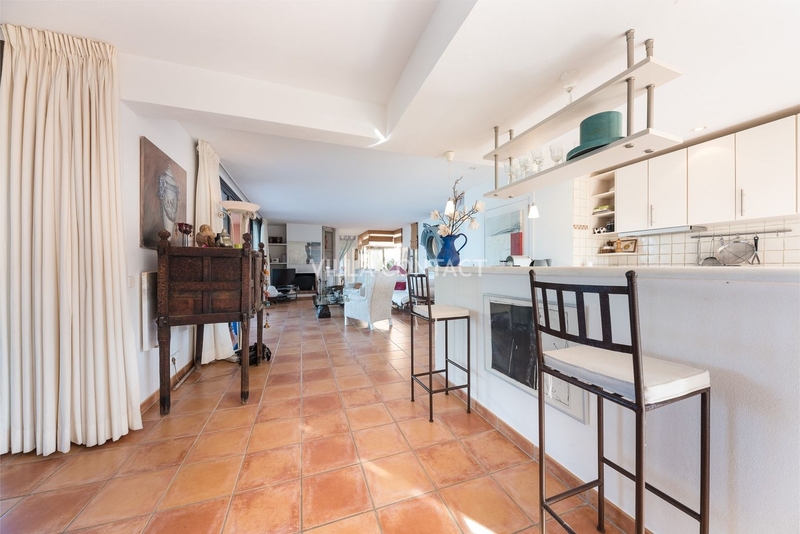 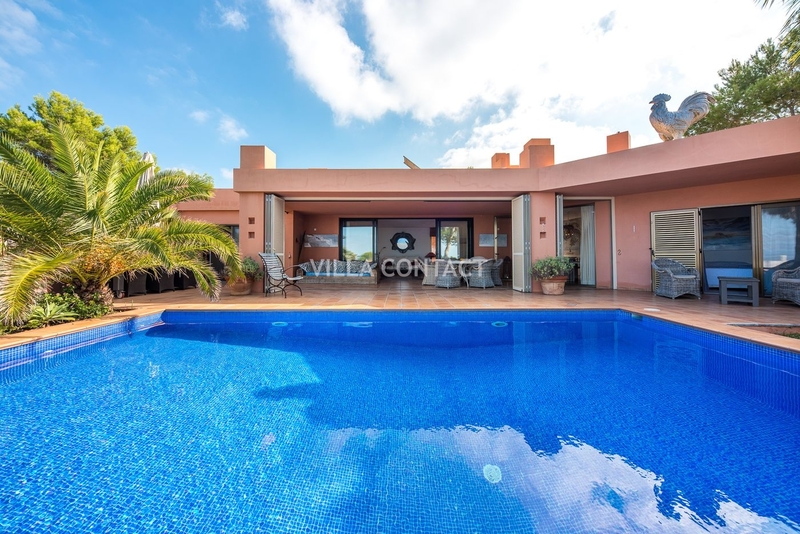 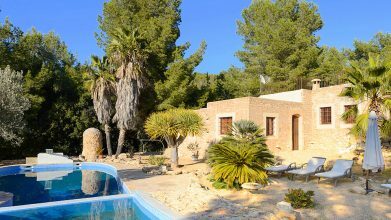 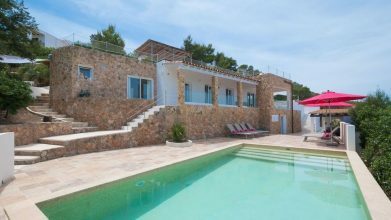 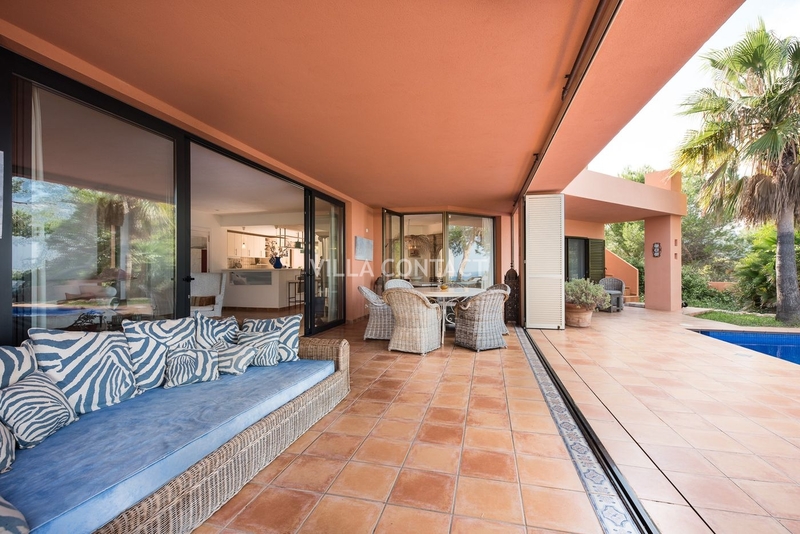 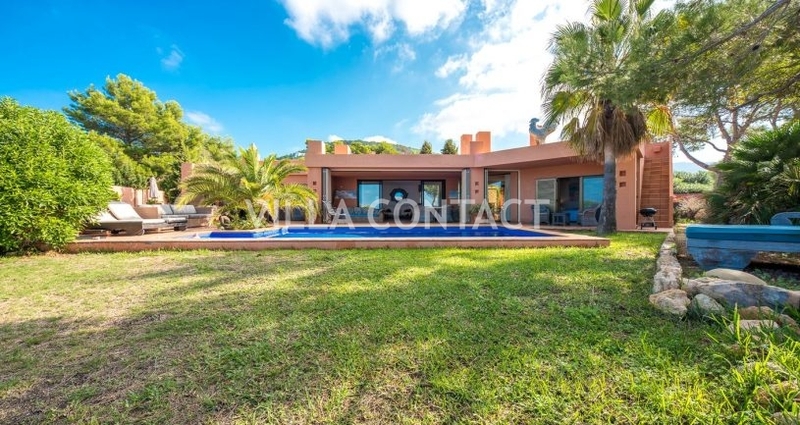 Stunning 3 bedrooms villa located near the beaches of Cala Moli and Cala Vadella in San Jose. 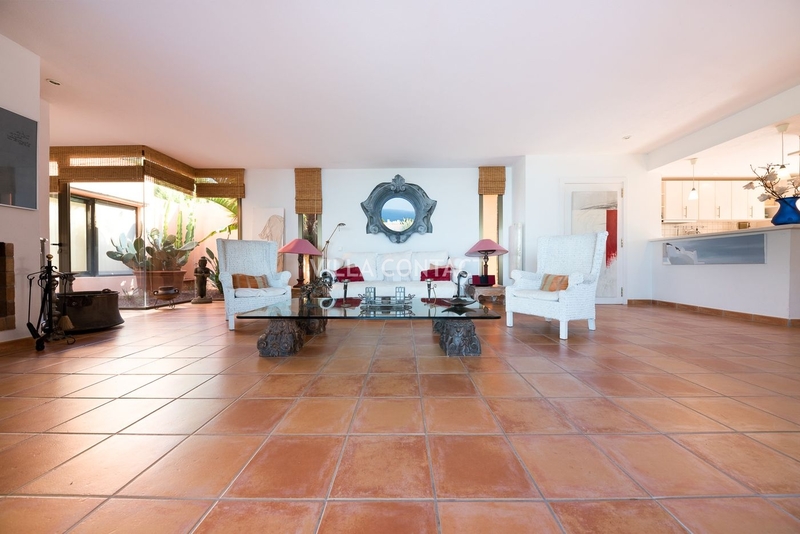 The property is located within the secure urbanization of Calo den Real and is distributed on one floor. 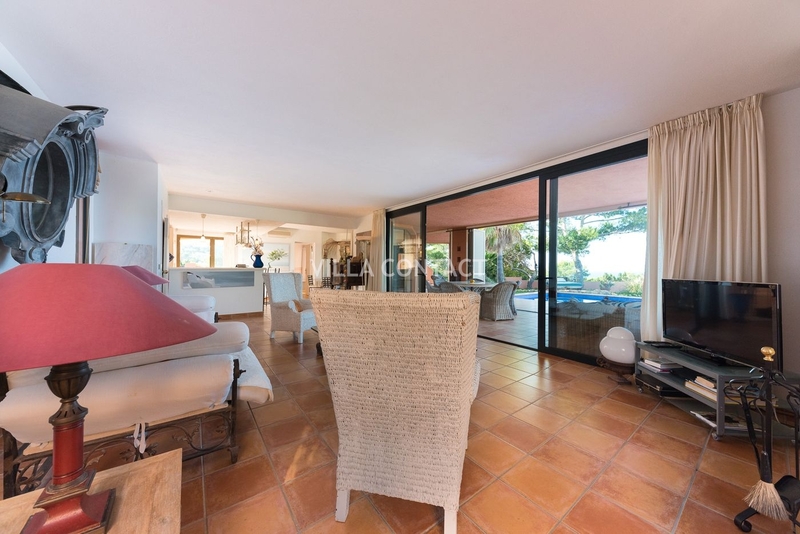 There are three bedrooms all of which enjoy sea views and access to the spacious pool area, 2 bathrooms, large living room with sea views, open fireplace, open plan kitchen and dining room. 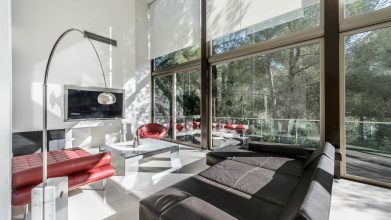 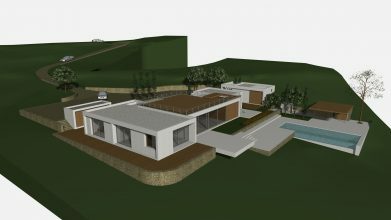 There is air conditioning throughout and the house is equipped with aluminium sliding doors. 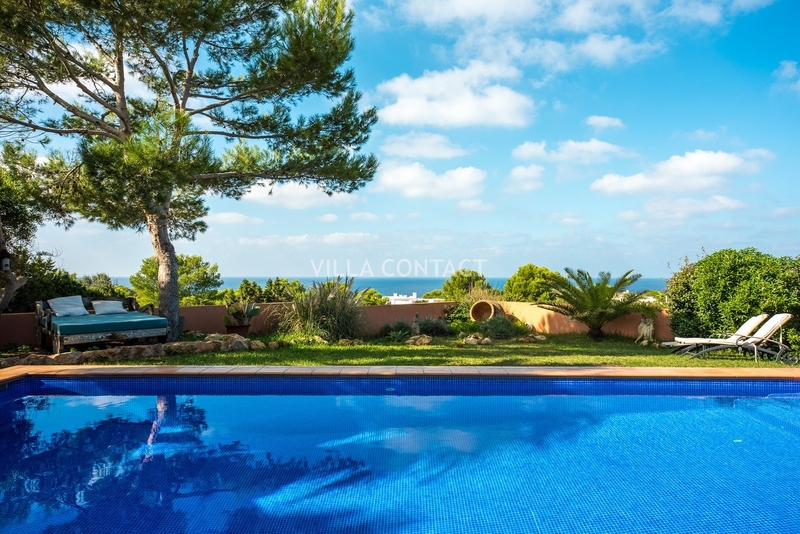 The highlight of the property is the 180 degree sea view. 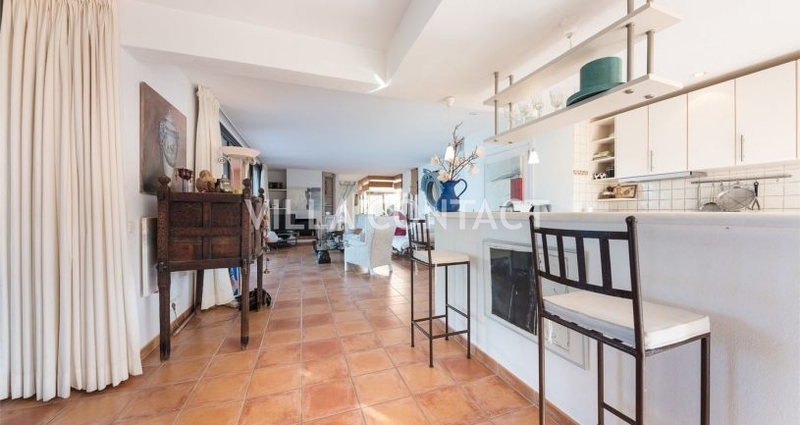 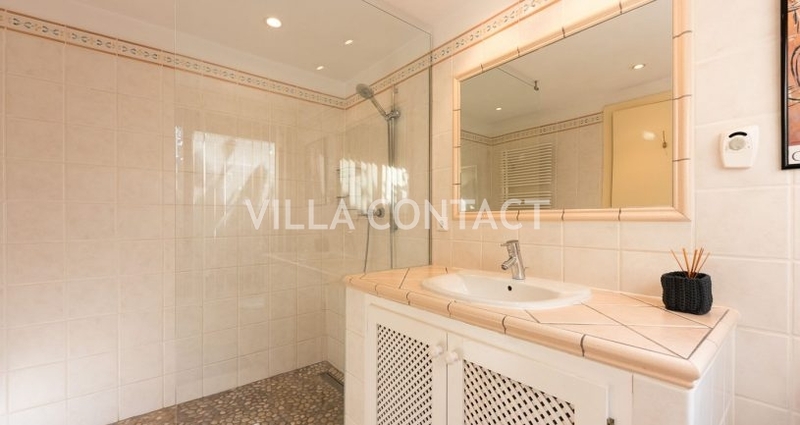 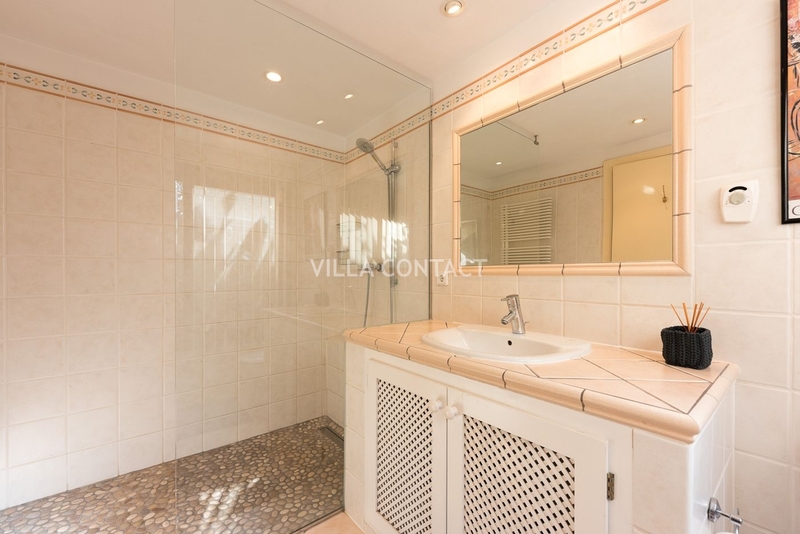 There is the possibility to extend the property by 120m2 and the property has a rental license.